revolutionary technology that costs skin care professionals thousands of dollars. With the Crystalift Club, you lock in discounts on regular refills and receive a 1 month supply of Crystal Capsules delivered to home every 30 days. 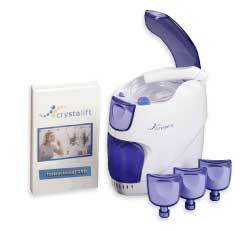 Share Crystalift with your friends and family members with two spare and reusable tips. 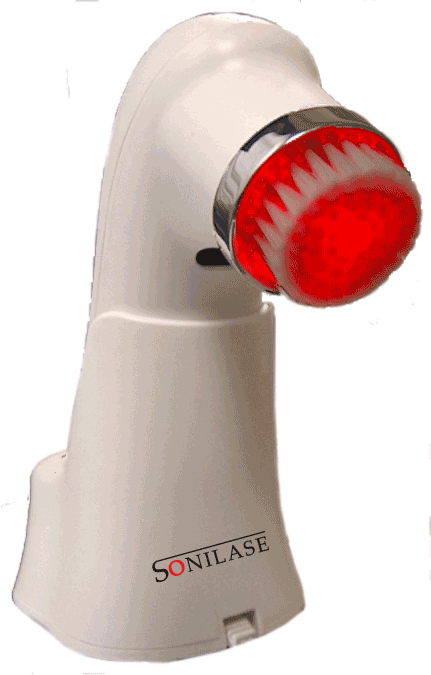 Sonilase is the worlds first wrinke fighting device that combines deep penetrating 660nm light with gentle exfoliating bristles to wage war on the signs of aging. Powerful Age Spot Serum that combines advanced age fighting agents to lift, brighten, and even out your complexion. The concentrated complex combines the top alpha hydroxyl acids (AHA) into an effective gel serum. A beautiful, smoother, brighter complexion can be achieved within weeks, and maintained with continued use. A luxurious hydrating creme combining a Liposome Complex with natural essential oils to fully replenish your skin. The Liposome Complex includes Japanese Green Tea, Aloe, and Seaweed to stimulate production of your own natural skin to restore the appearance of healthy-looking skin. A highly concentrated serum with Vitamins A, C, and E to further reduce the appearance of aging skin. A smooth and silky serum that is the ultimate finisher that contains Retinol with only the highest quality ingredients. Excellent for all skin types. Use day or night. A specially formulated toner soothes while it restores the skin's natural pH balance. Formulated to minimize the appearance of enlarged pores, fine lines, wrinkles and skin discoloration, this clarifying toner is also infused with the Mandelic Acid (derived from Almonds). Skin will appear firmer and perfectly prepared for the next step in the skin care regimen. A multi-purpose daily cleanser that has Mandelic Acid (derived from almonds) to gently and brighten your skin. Formulated with vitamins B & E. Refreshing Aloe Vera and botanical extracts to gently remove impurities, excess oils, and make-up. Excellent for all skin types. Copyright © 2016 BioRenew Labs, LLC. All rights reserved.